Preheat the oven to 425 degrees and spay a pan with oil. 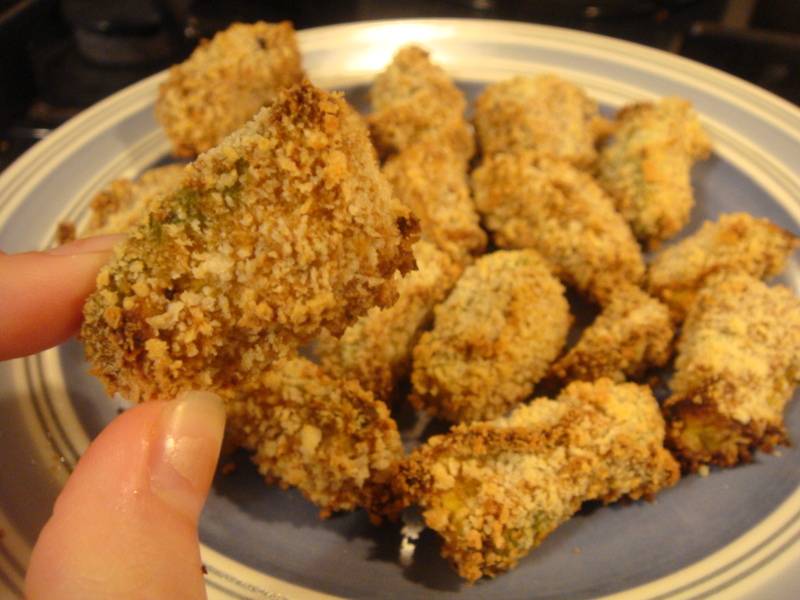 Cut up avocados into small nugget-sized pieces. In a shallow bowl, combine and mix flour, barbecue sauce, egg, garlic powder, salt, and pepper. In another shallow bowl, place and spread out panko crumbs. 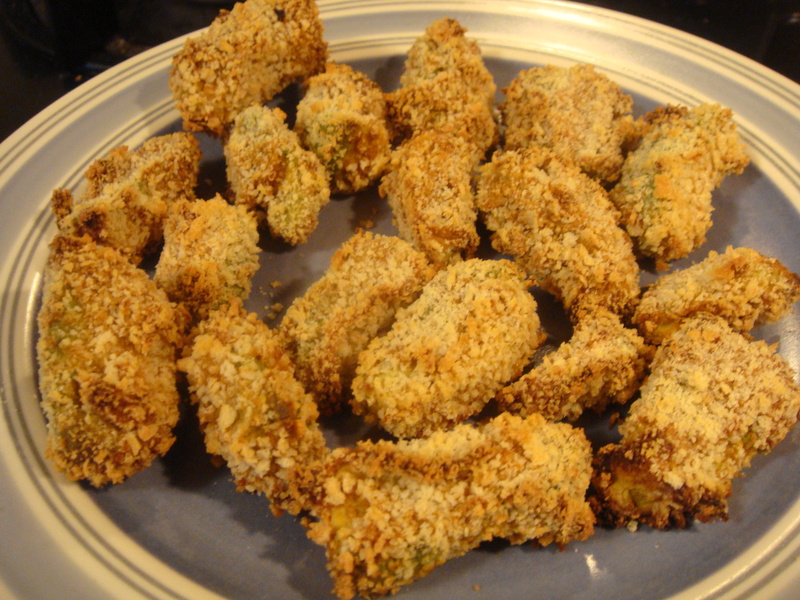 Using your hands or tongs, take one avocado nugget and place it in the barbecue sauce mixture. Transfer to panko bowl and completely cover with crumbs. Place on the baking pan. Repeat with every nugget. Bake in oven for 20 minutes. Whatttt! I can’t tell you how much I love this. My boyfriend is a meat lover… I gotta try this tonight!!! I have all the ingredients too. Awesome! (Can you tell, I’m super excited). That’s great! It seriously had the same texture and a similar taste to a chicken nugget. I’m deeply in love with them 🙂 Enjoy and let me know how they turn out! Interesting! I bet my wife would love those! Yumm! !~ i love avocado. Thanks for the post! Sounds like a blast tricking your brother! My sister and I got my dad to eat tofu and convinced him it was chicken! Nice! It was pretty funny. Problem is, I don’t think he’ll trust me next time! Looks real good. Love the title of your blog. It’s my number one mantra. Keep up the good work and keep shouting this message out from the roof tops.